The big day came on August 27th 2011. We were off to the Harvest Picnic Festival at a beautiful conservation area in Dundas, Ontario. It had been a really tough day to that point. We had come from a memorial service for my Grandmother that morning and I was really looking forward to relaxing. To kill some time we rented a canoe to take out on Christie Lake. We rowed around taking breaks to talk and enjoy the scenery. On one of those breaks Ryan suddenly got very serious and started talking about our future together. I could see that he was shaking from nerves and that's when it hit me. 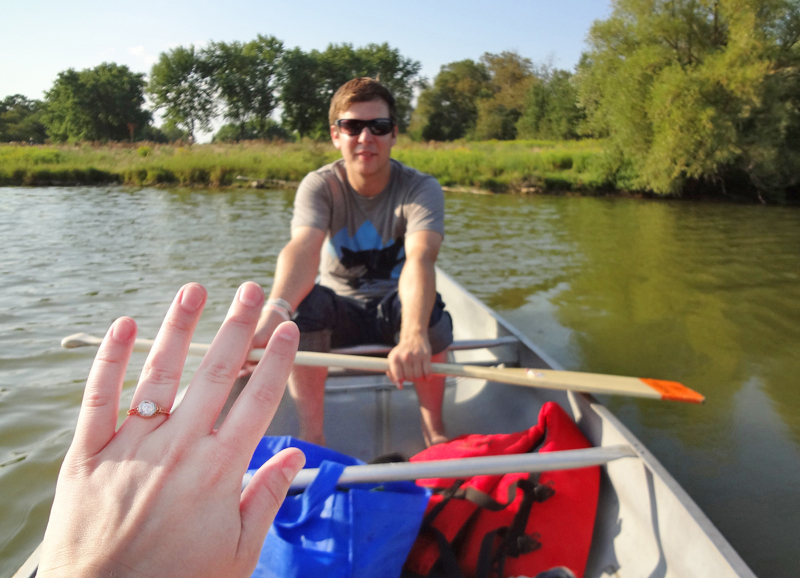 He pulled the ring out from his pocket and popped the question! He really had caught me by surprise. It was the perfect moment - drifting on the lake, Sarah Harmer singing on stage in the background. It turned what had been a trying day into a very special one. The ring is one I had fallen in love with at Cynthia Findlay Antiques in Toronto. I told him, "When you are ready for that kind of thing, please check back to see if it's still there." Thankfully he did! 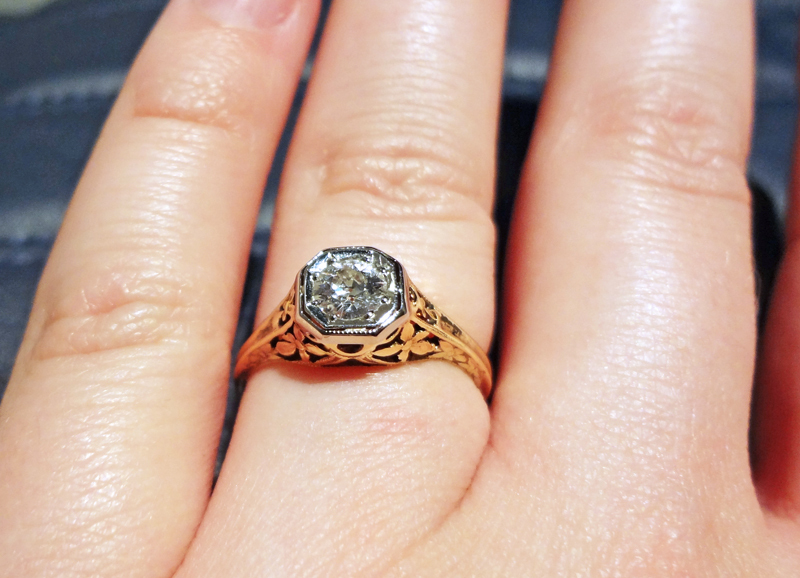 It's a beautiful 1920s filigree ring made by Orange Blossom. I just love the flowers in the filigree and the intricate cut-out patterns. I really do think it's the perfect ring for me.